Are you a promising startup? Do you have Asia as part of your market expansion strategy? Would you like to live and work in one of the hottest cities in the world with living expenses paid? Would you like to connect with global companies like Samsung, LG, Hyundai, and more? Would you like to win up to $133K in cash prizes, no equity taken? 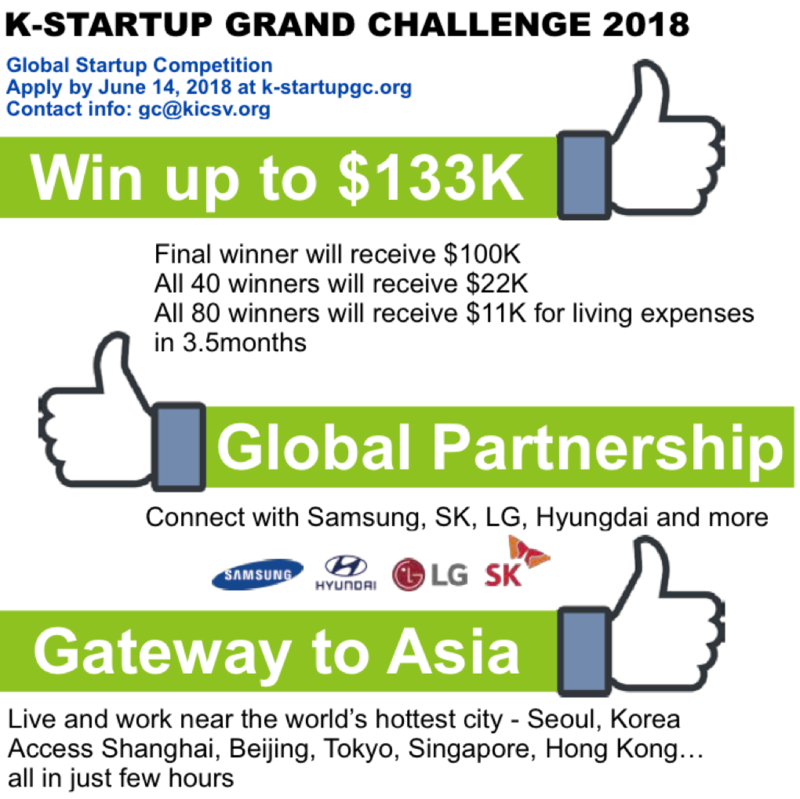 If your answer is YES to any of these questions, you are invited to apply to a global startup competition - K-Startup Grand Challenge! Hurry, application deadline is approaching soon: June 14th! - June 14 Apply TODAY!